iScripts UberforX is a new platform allowing users to book different services provided by vendors, similar to Uber.com! While Uber is a site used strictly for acquiring safe and reliable transportation, this software solution can be customized to accommodate a number of businesses within various industries such as medical, health, automobile, food, maid, taxi, fitness, spa and beauty services. UberforX is our premium eCommerce solution, made to serve the needs of various on-demand services. iScripts UberforX already comes equipped with a robust administrative control panel, perfect for site administrators to manage daily operations. A strong Vendor panel is present, allowing vendors to list services with descriptions, images, pricing and more. The customer-facing side is very user-friendly. Payments can be completed online, or paid at the venue if preferred. iScripts UberforX supports PayPal and Authorize.net payment gateways, along with a Pay-at-Venue option, making the purchase experience hassle-free and convenient for customers. The software also allows site administrators to have an unlimited number of services, categories, vendors and users at no additional cost. iScripts UberforX is developed with unlimited software scalability in mind. iScripts UberforX includes 100% customizable source code, which can be tailored to meet your specific business requirements. APP for Vendors – This turnkey vendor app lets the vendors to get schedules well in advance, allowing them to plan their business in a better way. APP for Users – The turnkey user app lets customers choose an appropriate service provider and book an appointment for service. Detailed Reporting – Vendors have a separate booking calendar and control panel. All business activity is included within your consolidated reports. Supports Multiple Vendors – Each order will be submitted to a specific vendor. The money goes directly to the vendor accounts. Powerful Administration Panel – By integrating vital ecommerce functions, you can stay in full control of orders, services, reports, vendors and much more. Control panels are also supplied for vendors and users. Now you can incorporate the platform into your existing business, or create a new one for easy trial. The turnkey, yet affordable, user app lets customers choose an appropriate service provider and book an appointment for service, right from their phone, similar to Uber. The users can have this application to book the services provided by the admin. 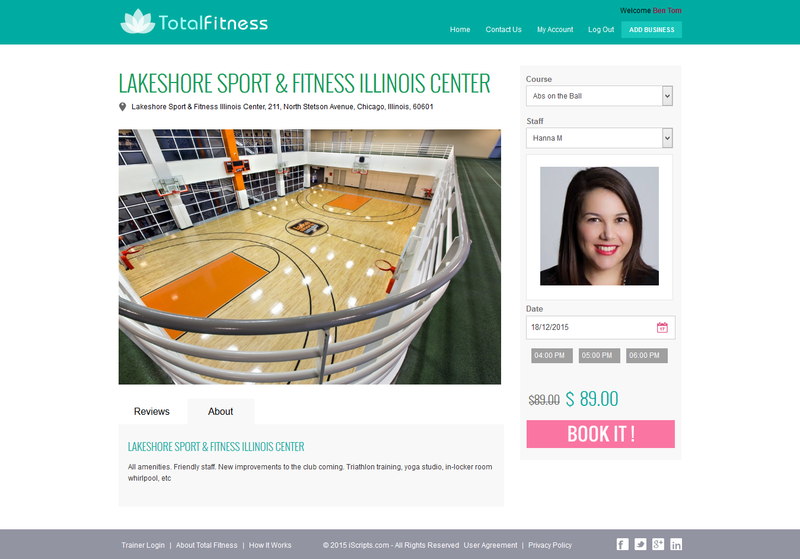 For instance, users can hop into the Total Fitness App to find the right service and staff for their needs. Do you have a service-based business idea to fill the needs of a specific market? Utilizing an Uber-for-X business model will save on startup costs. By offering a way for existing professionals and independent contractors to provide their service, you will decrease your initial investment. UberforX is a ready-made premium eCommerce solution created to serve the needs of various on-demand services. Now website design will not become a barrier in promoting your business among the customers, using a wide range and different types of browsers and smart devices. Experience the website in any browsers independently of mobile phones, laptops, iPads, any PC browsers. Users are sure to enjoy the crisp, modern feel of the site while easily navigating it.